Fidelia Muralles came to this country three decades ago so her children could have a better education than she did growing up in Guatemala. She thought all public schools in the United States were superior. She believed that by taking her children to school every day on time and helping with homework, she was doing enough for her kids to be ready for college. “My two oldest kids didn’t go to college, because they didn’t get reclassified on time. They were English learners, so they didn’t get access to college-ready classes on time” at their LA Unified schools. But she hasn’t lost hope for her youngest son. “I decided that the story won’t repeat with my youngest son. He’s going to college,” Muralles said. Her son attended 20th Street Elementary, where parents threatened twice to file a “parent trigger” lawsuit against LA Unified to raise academic standards. He is now in seventh-grade at an independent charter school in South LA. 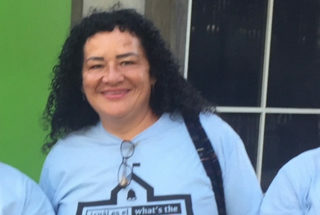 Last week, Muralles celebrated what she called a victory for families in Los Angeles, when LA Unified’s school board voted 6-1 to create an assessment framework that will allow parents to more easily compare schools as well as select the measures by which to evaluate them. And instead of being evaluated on what level kids are when they enter a school, schools will have the chance to show what they can do to help them progress. Muralles spoke at last week’s LA school board meeting to support the school assessment resolution along with other families from Parent Revolution, which helps parents find high-quality school options. It was while her son attended 20th Street that Muralles got involved with Parent Revolution, which in 2011 helped write the parent trigger law, or Parent Empowerment Act, that allows communities to jumpstart changes at chronically low-performing schools. In 2013, 20th Street became the first school in LA Unified to submit a petition under the parent trigger law. LA Unified denied the petition, but the parents kept up the pressure, and three years later parents chose to settle with the district and the school joined the Partnership for Los Angeles Schools. The following year, 20th Street was the most-improved LA Unified district elementary school on state math tests. How will a school rating help you and other families? It would provide a more simple way to understand if a school is doing well or not. Giving schools a rating such as a letter grade, or from 1 to 10, would help parents like me and other parents in my community to really understand how a school is performing and give us as parents the power to decide what school we want for our children. Right now, the way the (California School) dashboard is, using colors, we don’t understand. It doesn’t help us at all. In my opinion, a letter grade from A to F, the same way they grade our kids, would be the best option. How did you start advocating for this resolution? Since 2016, I was involved in the parent trigger for 20th Street Elementary. My son was attending this school, and Parent Revolution helped parents so we could get organized. Last year, when we heard about the dashboard, I started going to Sacramento. It was hard getting on the bus overnight to be there the next day for the state board meetings. But I did that trip four times because I thought we as parents needed to be better able to evaluate schools in our neighborhood, so we can demand the district improve the lower-performing schools. To support the (school rating) resolution, we met in homes in afternoons, evenings, or any time possible. We ended up collecting 500 signatures. I went to parents’ homes to explain what the resolution was about and to give them the opportunity to participate even if they couldn’t attend a meeting because of work or other issues. I feel proud that our voices were heard this time. What are you doing differently with your youngest child that you think is working? It has been very important to monitor his academic performance in math and English language arts particularly. I check his homework every day so I know what he’s learning. Parents also need to make sure how your child is doing if he is an English learner, what is the school is doing for him to reclassify, and if they have a plan. Also, we need to monitor the school environment and make sure there is no bullying. Our kids need to feel respected by adults in school. I also now attend all school meetings. It also helps that I meet with other parents once a month. Even if we all don’t agree on everything, we are still united, we communicate the good and the bad about our school. What have you learned about having a voice as a parent? We as parents have rights and deserve to be included. We deserve to be informed with the truth. Many parents I know who have children in fifth- or eighth-grade don’t even know that their children have to reclassify in order to be ready for college. Some don’t even know they are classified as English learners. That needs to change. We need to be involved, and we deserve schools and a district that will give us the right information so we can help our children. What has been accomplished with the new ratings for schools is important because only the district knew what were those lowest-performing schools and we did not. Now, we will know too. There are many ways to be well informed. We’re awake now!